← Just How "Special" are We? It doesn’t seem that long ago, but back in 1978–79 a fascinating science series called “Connections”, written and featuring James Burke, aired in the UK and the US. If you have never seen it, parts of some episodes are available on YouTube, or the entire series is sold by any number of outlets. It is marvelous. 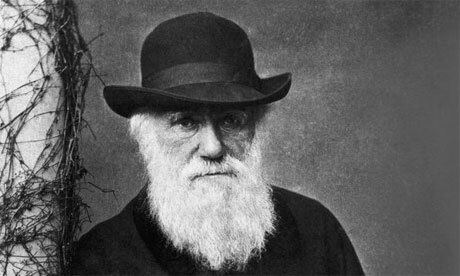 My purpose today is not to resurrect “Connections”, but to say that I was reminded of that series a couple of days back when I was reading an article about Charles Darwin. When Darwin wrote “On the Origin of Species”, his idea was not a theory scientifically, rather it was a hypothesis. One of the most amazing aspects of Darwin’s work was his ability to formulate complex conclusions from a series of seemingly unconnected finds and observations. Since Darwin’s death of course literally hundreds of thousands of independent observations, experiments, and discoveries have confirmed his hypothesis, and today Evolution via Natural Selection (and probably a handful of other triggers) is accepted fact in the scientific community. Perhaps the most telling evidence in support of Evolution is that found in genetics – the study of DNA, genes, and how all living things are both linked and differentiated by the code written inside every cell. Which brings me back to my “Connections” theme. Darwin’s last scientific publication was written a mere two weeks before his death, a short paper about a tiny freshwater clam that lived on the leg of a water beetle in the ponds around his home in the English Midlands. The young shoemaker eventually married and had a son named Harry who, much later in turn, married and produced a son of his own named Francis. Need I continue? In 1953 it was this grandson of the shoemaker/naturalist who, together with James Watson, unraveled the mystery of DNA and the double helix, thus giving birth to the science that has erased any possible remaining serious doubts about Darwin’s work in “Origins”. Now is that neat, or what?